This is one of the strongest connections maintained within the RAF, which represents a key role in their service. It consists of marching in an orderly fashion, which is essential in getting from A to B in a set, smart formation. It also sets the purpose of being a faster way of travelling than walking. 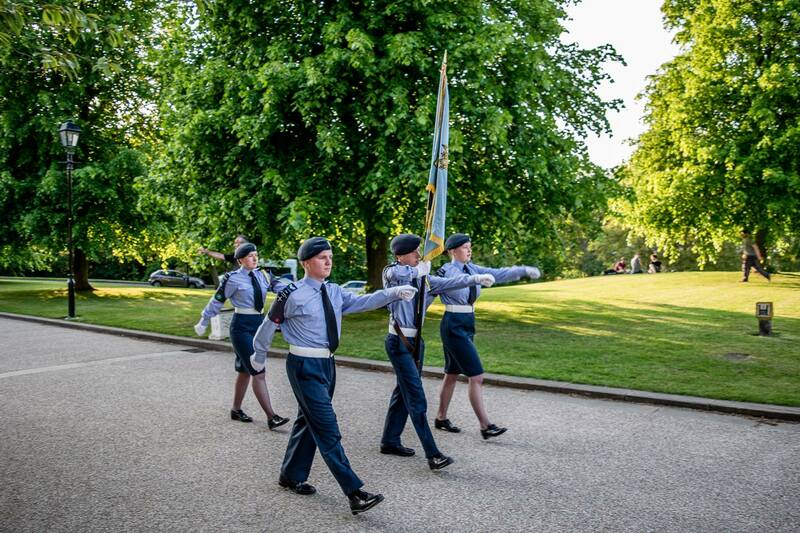 At 234 (City of Durham) Squadron, drill is taught in three groups; Beginners, Intermediate and Advanced. Once a year, our squadron takes part in the Wing Drill Competition, which allows an advanced group of cadets to show what they can do to senior officers.